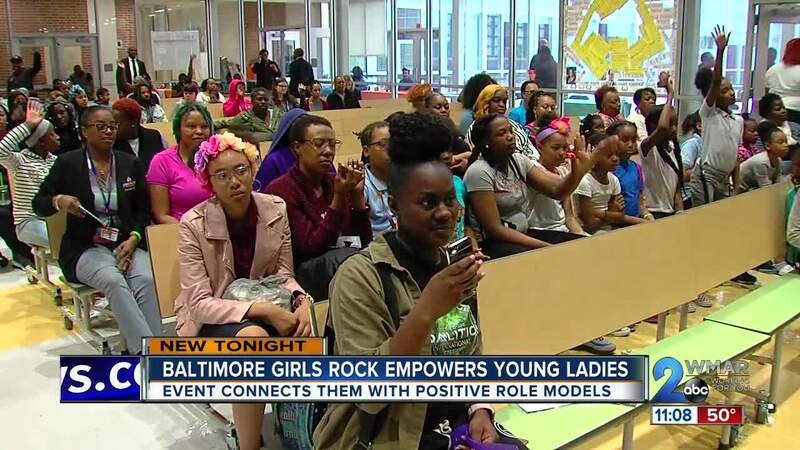 BALTIMORE (WMAR) — It as a night all about the girls. Restoring Inner City Hope (RICH) hosted their first event just for the ladies called Reality Check Baltimore Girls Rock. Dozens of women of all ages came together to get connected with positive role models and inspired to dream big. "Tonight I'll be addressing these young women talking about their internal confidence and their ability to run for office and take risks and apply for promotions and to see their dreams and their potential as being endless," said Baltimore State's Attorney Marilyn Mosby. Mosby joined Baltimore Ceasefire's Erricka Bridgeford and other leaders and entrepreneurs to talk to the crowd inside Cherry Hill Elementary/Middle School about self worth, handling trauma and etiquette. "Especially if you’re a young brown girl or black girl, the reality is that there is so much stacked against, and when you turn on the TV and all you see is representations of yourself that are negative or it just doesn’t really show who you are or who you are known to be within yourself, then you have to have people who come and stand on a stage or use their platform in any way possible to remind you that what was put in you from birth is important and magical," said RICH co-founder Danielle Battle. "When you really know who you are and where you come from, you can't be anything but beautiful and poised and excited about life." "I just thought it would be a good idea to bring her," said mother Diminise Drake. Especially because Drake says he 9-year-old daughter Khloe is interested in starter her own slime business. "It's a slime container with a logo that says Slime Queens," said Khloe Luckellis. She's excited to learn the tricks of the trade to make her budding business a success. "How to earn money and how to be creative and be smart," said Luckellis. "Coming here and hearing other people do it and watching other people and other kids, hopefully she will be able to realize anything that she wants to do, she can do," said Brake. RICH just hosted an all-boys event in February and their next goal is establishing a family center in Cherry Hill. They already have the building but are raising more money before hopefully opening at the end of the summer.